Tired of patterns that don’t fit your shape? Or maybe you’re looking for a way to make crochet less boxy? 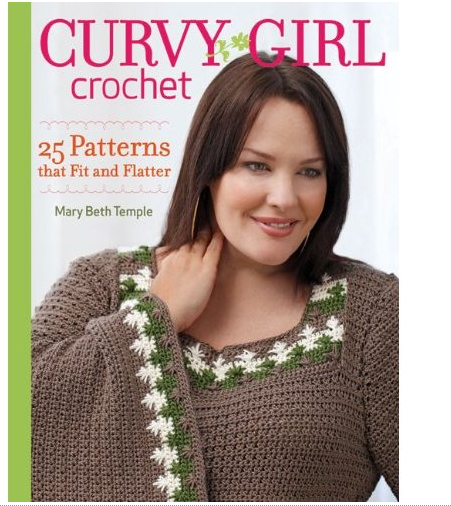 Whatever the problem, designer Mary Beth Temple has a solution in her latest book, Curvy Girl Crochet. Temple provides 25 patterns made to flatter a full figure – 20 designed by Temple and five by guest designers. From sweaters to outerwear to accessories, the book features something for everyone. Sizes range from L to 5X. We’re particularly fond of the Essential Pullover & the Essential Cardigan (pictured above), which both use our Vintage DK! What’s Temple’s top tip for getting the best fit? She suggests using lightweight yarn because crochet stitches tend to be dense. And she promises that if you put in the prep time, your project will be a success. If you want to see all 25 fabulous crochet designs and learn more about fit and drape, you’ll definitely want to pick up a copy of Curvy Girl Crochet. Just a quick note…Berroco Yarns is now on Facebook! That’s just one more way to keep up with the latest Berroco Design Team news. So don’t forget to “like” us!